Sauces, mayonnaise or ketchup usually require multilayer packaging in order to preserve the product. Cooking oils are typically stored in PET containers. They are usually oxygen sensitive products. To avoid the use of additives and preservatives, the container must protect the product to prevent from its oxidation. That is why multilayer structures, were the barrier material is located in an inner layer, are needed. HDPE, PP. 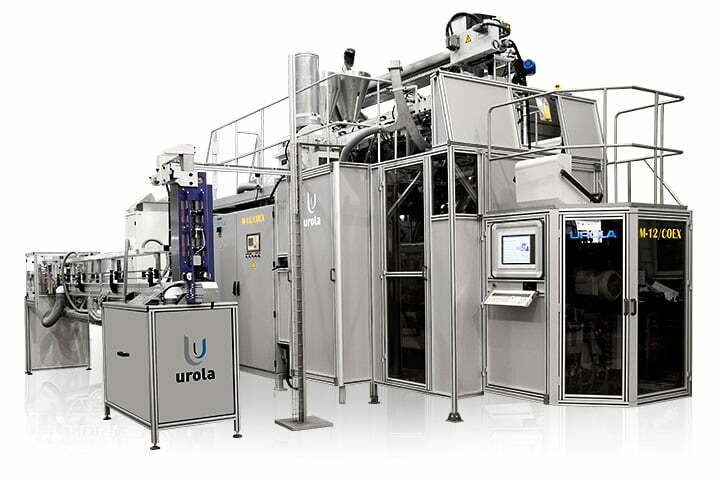 Urola’s extrusion-blow molding rotary concept is ideal for multilayer packaging because it has a single head, which gives a great uniformity and precision to the different layers. PET: also in multilayer structures. PET packaging is the most widespread, both for small volumes (up to 1 liter) and for volumes of 2, 3, 5 liters. For all of them, we offer the different models of our URBI machines range, very suitable in low and medium cadences, which allows the production of very light containers and in certain designs the generation of fake loops. 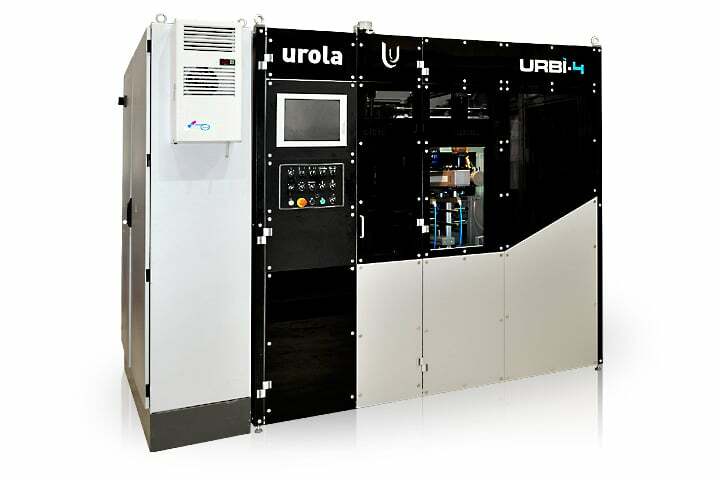 The linear blow moulding machine URBI-4 for PET containers of up to 2 litres, with a production capacity of up to 6,800 bottles/hour, maintains the philosophy of the URBI line: the “L”-concept oven, advanced technological systems, high production per cavity and high efficiency. URBI-4 is recommended as an ideal solution for stretch-blowing PET containers, etc. offering an excellent balance between investment, production capabilities and floor space. Very small space in the plant: easy implementation (2.23 m x 3.32 m). Servomotors for opening and closing mould-carrying plates, preform stretching and bottle/preform transfer system. In each cycle, the 4 preforms leave the oven at exactly the same moment, and unlike other linear systems, no temperature difference is produced between the preforms. The blow mould plays a fundamental role for the production of bottles, and that is why at Urola we integrate the complete process. We advise, design the container and mould, manufacture the mould, manufacture samples and provide the best possible after-sales service. The product to be packaged. Suitability for the container manufacturing process. Technical characteristics required of the container. 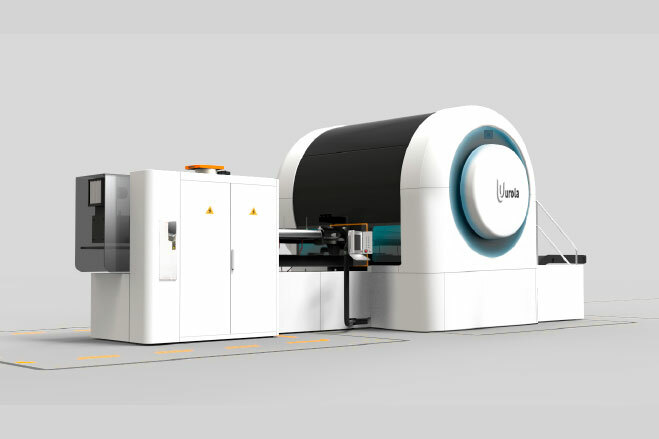 We have the most appropriate means to develop the designs of the container and mould, both highly qualified technicians and the most powerful computer tools. 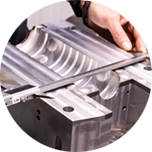 We use 5 axis CNC Machining Centers and other auxiliary machines for the manufacture of moulds with the highest quality. This service is covered by Urola when it is required to determine the validity of the container when it is a new packaging development. We accompany the customer in the maintenance of the moulds during their useful life to ensure that the conditions of the process are maintained in optimal conditions. For this we replace worn parts, repairs, check air outlets, check cooling circuits, etc. A cooling system is integrated within the very mould. Moulds are manufactured in duralumin with stainless steel, treated neck adjustments. 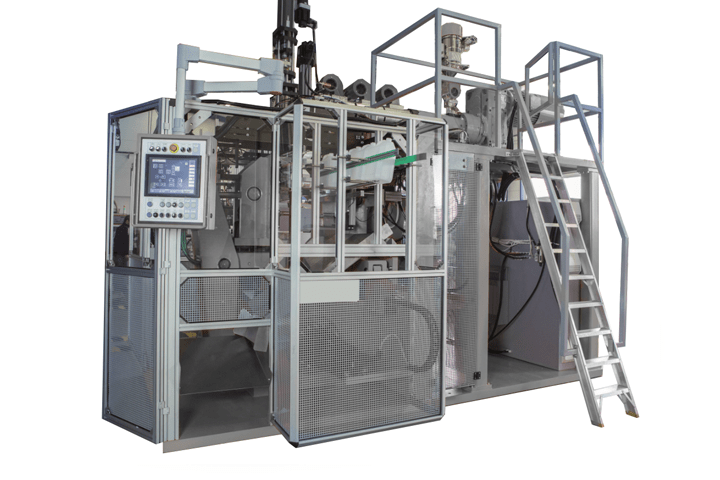 Urola Solutions develops advanced solutions for the packaging manufacture with blow moulding technology, providing added value to end users.